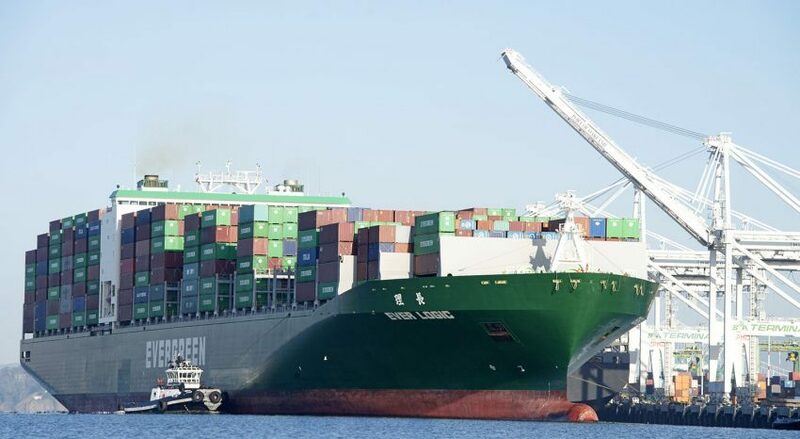 Over the last few years, Evergreen Line has invested in 30 new eco-friendly L-type containerships. The ships are constructed to improve energy efficiency and reduce CO2 emission by fifteen percent compared to the earlier S-type vessels. To optimise the vessel navigation in an eco-friendly way, the hull form and propulsion efficiency are well conceived already in the design phase. The optimisation of the hull and propeller provides more favourable performance over the operating profile of draughts and ship speeds. It makes it possible to enhance fuel efficiency, save energy and reduce emissions in future vessel operations. Another important feature is the ballast water treatment plant. 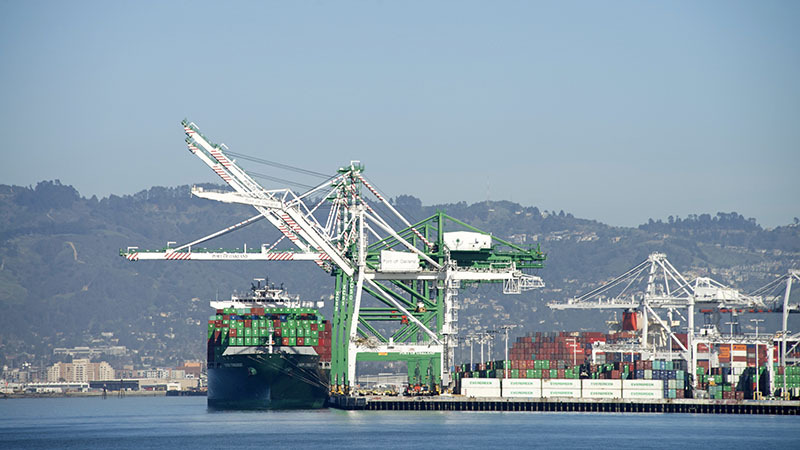 Emissions from maritime transports affect air quality and marine environment, posing threat to human lives, health of animals and plants, economic development and even cultural heritage. Ballast water is carried on ships to adjust ship stability, often taken on in one region and discharged in another. Without proper treatment, it can affect the ecological balance by transferring marine organisms between ports through the ballast water exchange. Discharge of blackwater, greywater and garbage can pollute the oceans and do harm to the marine ecosystem. To deal with the issues of emissions from maritime transports and ballast water, our ships are equipped with various facilities for the purpose of environmental protection. Additionally, Evergreen Line’s vessels are using the Wide-Beam Concept to improve ship stability. It means that the ships can carry a minimum quantity of ballast water when operating, and at the same time maximise cargo loading per TEU and energy efficiency. Generally, the size of the ships, and even more so, the efficiency, have great influence on emissions. One of Evergreen Line’s strengths over the years has been its ability to consistently operate a uniform vessel fleet with high efficiency. 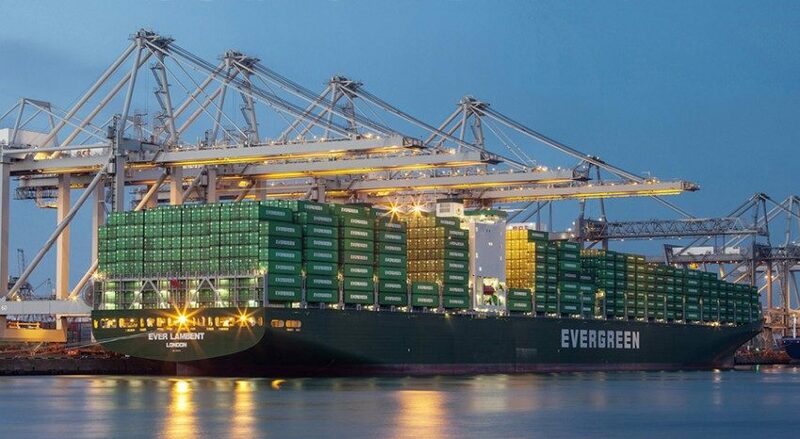 The latest sizes of Evergreen Line’s ships are 14.000 and 18.000 TEUs, and among the biggest in the world. In the latest G-type 18.000 TEU ships, Evergreen Line adopts the most advanced shipbuilding technologies to build the new generation ultra-large containerships. The ships are about 400 metres long and 59 metres wide. The ship design incorporates optimised hull profiles and minimum ballast water requirements to maximise cargo carrying capability. The vessels are designed to have larger depth to strengthen hull structure and navigation safety. In line with the stringent eco-friendly criteria that Evergreen Line has implemented on its own operations, the ships are equipped with various environmental protection devices and fully comply with the regulations of international maritime agencies. Ship-to-shore real-time data transmission systems are used to enable operation departments on land to monitor navigation statistics and weather condition, analyse the data and take action for speed optimisation and route planning at sea. This all together lowers fuel consumption and enhances navigation safety. The main engine is developed with a longer stroke to operate at lower speeds with capability to reduce fuel consumption and greenhouse gas emissions up to seven percent, compared to traditional main engines.